San Francisco : The US is already almost halfway to meeting its 2025 Paris Agreement goal. Existing commitments and policies will take the country two-thirds of the way towards those objectives despite the absence of federal support on climate action, a new report by America's Pledge said on Wednesday. "If bottom-up climate collaboration accelerates and the coalition broadens, real economy actors can carry the United States within striking distance of meeting its 2025 Paris pledge," a report unveiled in this California city by Governor Edmund G. Brown and UN Secretary-General's Special Envoy for Climate Action Michael R. Bloomberg said. The report 'Fulfilling America's Pledge', prepared by researchers at the University of Maryland and the Rocky Mountain Institute, demonstrates how cities, states, and businesses can bring the US within striking distance of its 2025 emissions reduction target in the absence of federal leadership. The report was released on the first of the three-day Global Climate Action Summit (GCAS), where over 4,000 business, city, state and civil society delegates are plotting more ambitious commitments to achieve the goals set by the 2015 Paris Climate Change Agreement. Governor Brown and Bloomberg are co-chairs of the GCAS. "As the world feels the impacts of climate change, the need for widespread, ambitious climate action has never been clearer," UN Climate Change Executive Secretary Patricia Espinosa, also a co-chair, said in a statement. "The new report provides a roadmap to galvanize even more action from all levels of society, both in the US and across the globe." Using a purpose-built integrated assessment model incorporating thousands of aggregated data points from across diverse non-federal actors, the report finds current commitments and market forces will cut economy-wide emissions 17 per cent below 2005 levels by 2025, roughly two-thirds of the way to America's pledge under the Paris Agreement, which called for reductions of 26 to 28 per cent over that period. Analyzing 10 high-impact climate action strategies across most major economic sectors and all greenhouse gases, the report identifies the most plausible pathways for accelerated implementation of climate commitments by cities, states and businesses, all within realistic legal and political constraints and without federal policy support. Such pathways include setting and implementing more stringent renewable energy procurement policies, accelerating the phase out of super-polluting refrigerant gases, and mapping and repairing methane leaks from natural gas pipelines. Among other findings, the America's Pledge report concludes that these 10 strategies, if implemented over the next three years, could drive US emissions down further than current measures, to 21 per cent below 2005 levels by 2025. If a broader range of city, state and business leaders took more ambitious steps by 2020 to implement such programs, emissions would fall by 24 per cent in 2025, within range of the Nationally Determined Contribution set by the Obama Administration under the Paris Agreement. These near-term actions would also set the stage for even faster emission reductions beyond 2025, putting the US on the path towards deep decarbonization of the economy, all in the absence of federal leadership. In the wake of the Trump Administration's decision to pull out of the 2015 Paris Climate Change Agreement, an unprecedented number of US cities, states, businesses, and universities have reaffirmed their commitment to helping America reach its Paris climate goals. 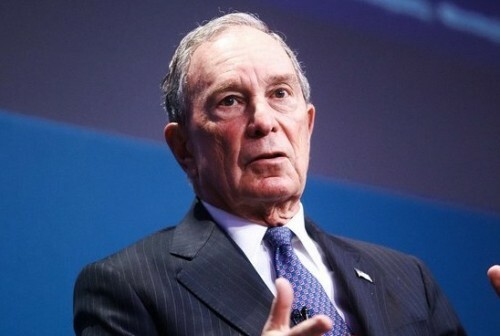 In July 2017, former New York City Mayor Bloomberg and California Governor Brown launched the America's Pledge initiative, which seeks to aggregate and quantify the actions to drive down greenhouse gas emissions consistent with the goals of the Paris Agreement.